The San Diego History Center is kicking off its popular series, History Happy Hours, beginning June 27 from 5:30-7:30pm at the History Center in Balboa Park. The seasonal series showcases various topics related to San Diego’s past that correspond with the History Center’s featured exhibitions. This month’s happy hour is titled Sins of the Stingaree, where guests will be able to immerse themselves in the exhibition Sin Diego: The Stingaree’s Transformation from Vice to Nice in a fun and festive park-after-dark event featuring craft beer, cocktails, light bites from MiHo Gastrotruck and more! 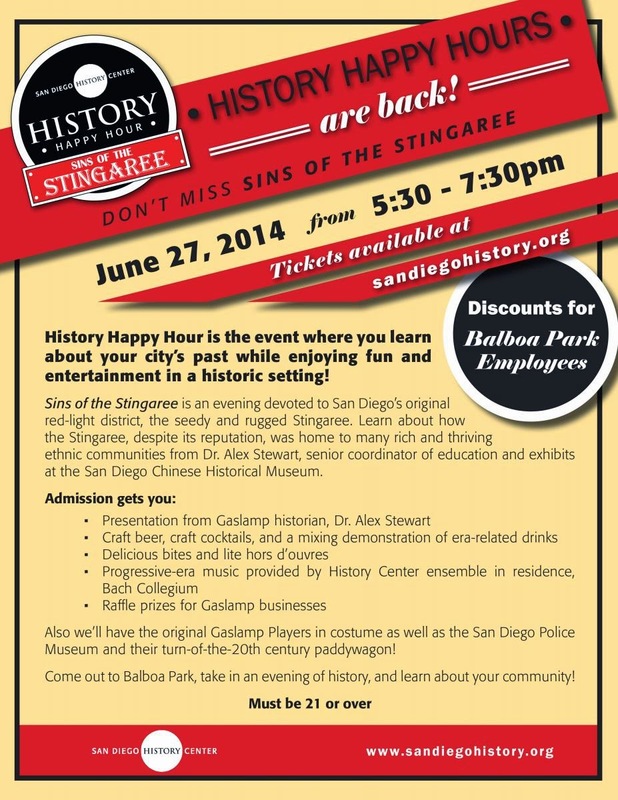 Admission to the June 27 History Happy Hour is $25 to the public and $20 for SDHC members and can be purchased online. Funds raised from this event support SDHC’s K-12 outreach programs. History Happy Hours are a fun way for the 21-and-over crowd to enjoy Balboa Park after dark and learn stories about their community in the process and are held on the last Friday of every month (May - Sept). 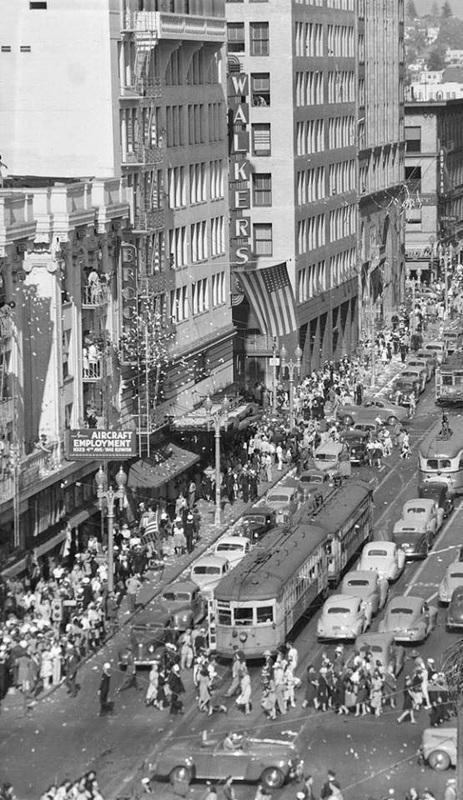 San Diego’s Gaslamp District was an urban redevelopment program aimed at cleaning up the downtown waterfront area which was, in San Diego’s early days, called The Stingaree District. It was a thriving economic zone in the city and home to many of San Diego’s immigrant neighborhoods. But what often overshadows that is the area’s infamous reputation for gambling dens, houses of ill repute, sailors with a short time to spend their money, and the short visit to the Stingaree by Wyatt Earp. The San Diego History Center, which also operates the Junípero Serra Museum in Presidio Park, tells the diverse story of our region―past, present, and future―educating and enriching our community, preserving our history and fostering civic pride. The History Center was founded in 1928 and is one of the oldest and largest historical organizations in California. It is one of only a handful of institutions nationwide that is dedicated to celebrating the heritage of a major American city. Admission to both museums is: $8, $6, and $4. Children under 5 are free. Stay connected with The San Diego History Center by visiting sandiegohistory.org, facebook.com/sandiegohistorycenter and twitter.com/SanDiegoHistory.